I was one of these 60,000 piligrims on 1st Dec. And so I present what I learnt and understood in my own trials and tribulations. Here’s hoping, it proves to be beneficial for all those vying for ‘Hari Darshan’. The temple is in Tirumala, which is situated eighteen kilometres uphill from the city of Tirupati. Please note that beyond this point no liquor, tobacco or cigarettes can go. If any such item is found in the baggage or on person they are invariable confiscated. Distance from entrance toll gate to end toll gate is 18kms. And the stipulated time that needs to taken by any vehicle to cover this is 28 minutes. Check in times between the two gates are recorded electronically and if any vehicle is found to be violating it (i.e reaching earlier) a penalty of 300 rupees is charged from the driver. On both sides of the road leading upto Tirumala is a dense forest and an occasional deer spotting is a common sight on this way. Every room needs one owner photo id photostat. A security amount is deposited which can be encashed while checking out. For example: if the room is for 150, a security amount of 350 will be deposited. While checking out, the security money can be encashed from any of the caution money deposit counters spread across the campus. Normally inquiry station could be at a distance from the allotted rooms. 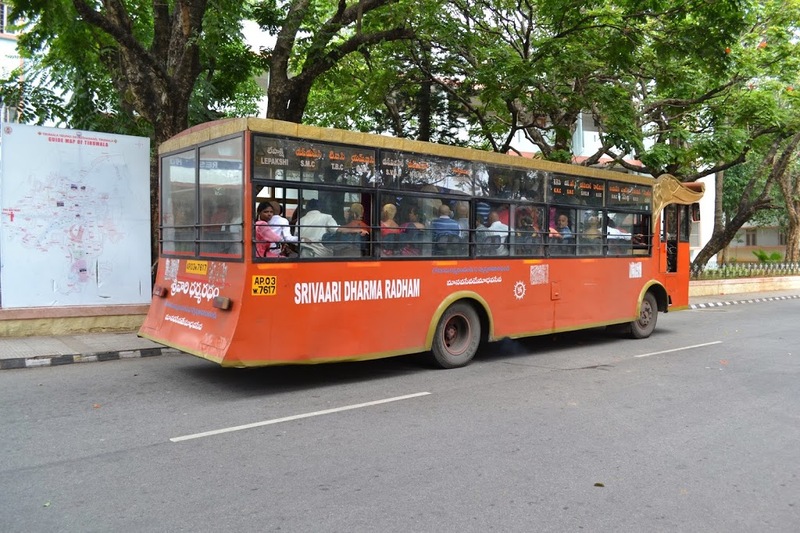 For this one can easily commute from one place to another using the free bus service plying every ten minutes or hire a full taxi (within the campus) for 100 rupees. Please note that none of the guesthouses have a canteen or an eat-in option. Therefore meals have to be taken at the food joints/ restaurants available within the campus. If you are looking for value for money or not so expensive option then the main area in the campus called “Shopping complex” has many food joints offering that. Mostly south indian food will be available at these places. If you are looking for a slightly improved ambience and seating arrangements, then you may try in-campus hotels such as Hotel Sarangi or Hotel Annamalaya. They have good service, more cuisines to choose from but prices on slightly higher side. Most of these places stay open from morning 6.30 to 11.30 in night. 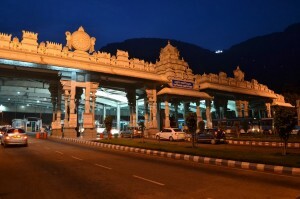 If you are staying in Tirupati/Chennai then you can take a taxi/cab to reach Tirumala. The entrance toll security check in as mentioned above will be applicable in your case too. 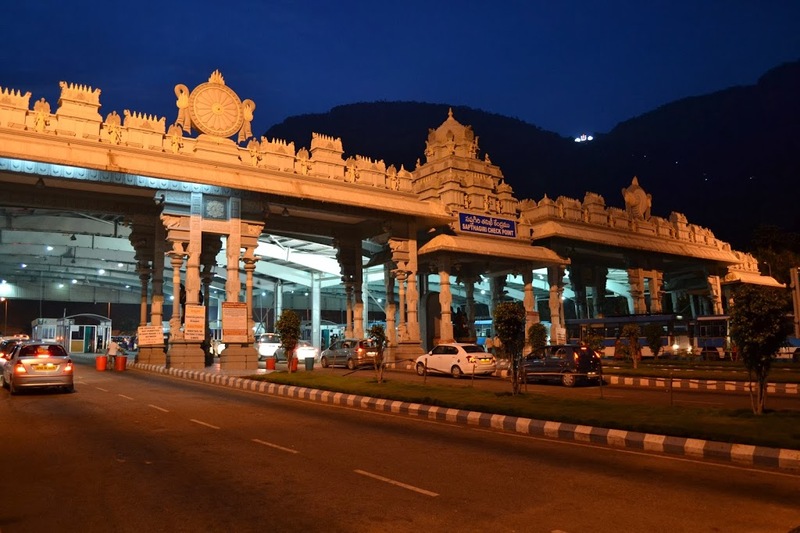 Or take the cab/taxi/bus one way and then choose from the taxi/bus stand at Tirumala for way down. 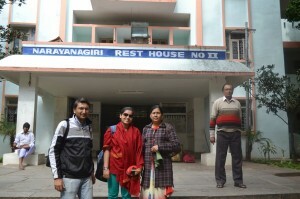 Divya Darshan- This darshan is for people reaching the temple by foot from the bottom of the hills. Sudarshan Darshan- This has a fees of fifty rupees. And it was primarily introduced to facilitate free darshan’s total time. Special Darshan for physically disabled and aged- In this darshan a shorter and special pathway is created for people with disabilities and those who are senior citizen. Also parents with infants are included in this. A helped or an attendant is allowed in this for senior citizens/handicapped. 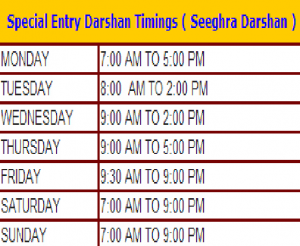 Please note that between Sarva Darshan, Sheeghra Darshan and Sudarshan Darshan- Sarva Darshan has the maximum time and path to cover before ‘hari darshan’ and Sheeghra Darshan has the minimum. Also note that mobile phones, bags and cameras are prohibited inside the temple. Just in case you are found to be carrying it then you may be sent back and asked to deposit the items in a cloak room. To avoid this, either place them in cloak rooms from before or not carry them. 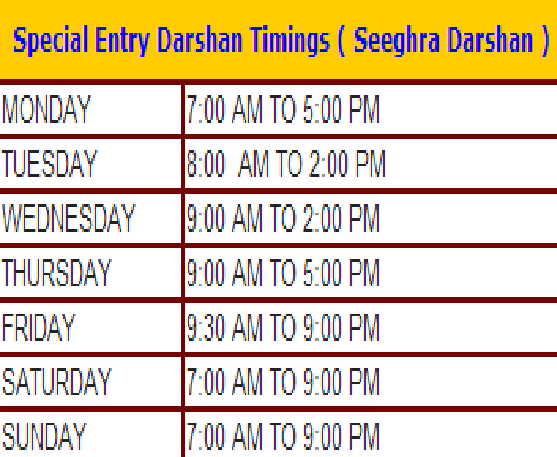 Best case is to reach early say by 6:30 to have a hassle free darshan. Parshad: After coming out of the temple, there are dedicated ladoo.parshad counters where you can collect the ladoos. For example, in Sheeghra darshan, every person is eligible for two free ladoos. If need be then please do drop in a comment with your query or you can also mail me with your concerns/questions at [email protected] . Another thing that seems to be attractive is ladoos…i am a sucker for those ones. We paid Rs. 300/- p.p. for a quick darshan which took nearly 4 hours. and had darshan of Lord Balaji for 20 seconds. 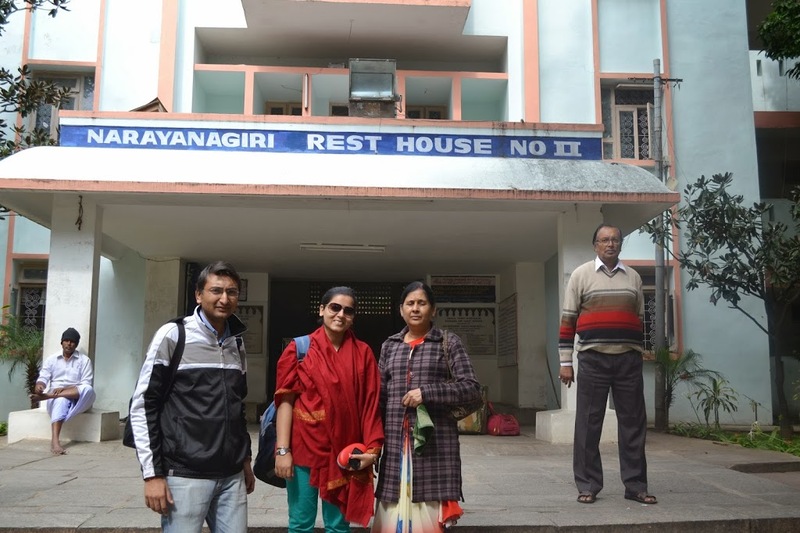 @Richa, this was truly a descriptive post which explains the various types of darshans and the facilities available in great detail. Awesome job. Well I too see that side Seeta. Something which fortunately or unfortunately is widely prevalent in most temples… Though each one of them look very pretty and worth a visit for sure, or I would say even more…..
That’s a comprehensive post detailing everything a tourist needs to know about a darshan to Tirupati Balaji. Have never been there and these tips should come in handy when we get an opportunity to travel down south! I hope the same Shilpa 🙂 My main purpose was that people can get a consolidated info flow for the visit..
Nice Travelogue and very informative too !! I do remember standing in the queue for hours together inspite of paying extra..!!! Anyways anything for the lord !! Wonderful planner. You have covered every detail. Nice reading this mini guide…quite handy and useful!